Just in time for the holidays, read below for a full DOLL GIVEAWAY! Maybe you think ‘tweens’ and then ‘American Girl’ and wonder if they’re too old for the dolls? Our visit to the grand opening proves otherwise. More importantly, what we love (I use this term very carefully) about the brand is its focus on providing opportunities for girls to be informed, intelligent, engaged in their ideas and literature that helps them explore the many challenges that accompany a growing girl. My girls had never been to an actual American Girl location. When the first store in Florida was opening in Miami this October, we certainly took the opportunity to visit and explore the new venue (16,000 square feet!) with our daughters. 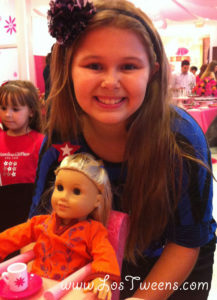 It was a wonderful experience- the dolls and the girls- are the centers of attention. If a girl visits without her doll- no worries- they have ‘loaner dolls’ available and they’re complete with special chairs so they can sit right at the table in the adorable Bistro. I was particularly surprised with the Doll Hair Salon where well- trained staff can help ‘makeover’ a doll’s hairstyle and give her a brand new look- so cute! My favorite area actually is the book section. 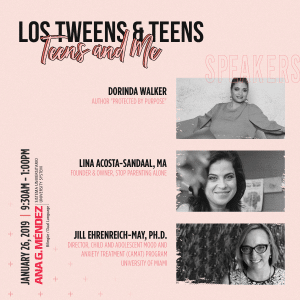 For tweens in particular, the book selections help them navigate their body changes, bullying scenarios, managing their friends, difficult relationships and more. The books are written in a simple format that allows them to easily interpret the material. At times the cost of the items can be on the high side. Helping your daughter create financial goals and ‘save up’ for her dolls, accessories, clothes and more can be a great way to reward them. Katherine and I have both helped our girls ‘work and earn’ money for their dolls and clothes, which helps ease the financial investment for us. The quality certainly does back up the cost as the dolls stand up to ‘mucho amor’ from the girls! The key fact is that we’re still helping girls enjoy innocent fun while helping them achieve financial goals. So in the spirit of holiday giving we have an American Doll Giveaway to share with you! Yes, a doll complete with her own storybook. We asked our own daughters what doll THEY would want another girl to win. We proudly announce we’re raffling Kaya- a Native Amerian girl from the historical characters collection. To enter, simply leave a blog post sharing the ways in which you encourage imaginative play with your children. We want to know how you get them to turn off the electronics and pick up a toy, play a game outdoors, etc. And you can receive bonus points for liking us on Facebook. About Kaya: Introduced in 1986, the historical characters give girls an engaging glimpse into important times in America’s past. Kaya®, is an adventurous Nez Perce girl growing up in 1764, before America became a country. 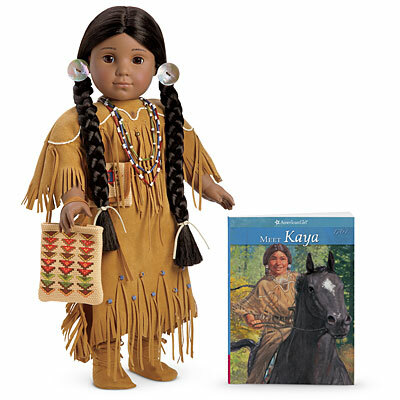 The Kaya doll is 18″ tall, with deep brown eyes that open and close. She has long, shiny black hair that can be brushed and braided, and she arrives in a special Nez Perce outfit from 1764. Kaya is soft and huggable, and she’s poseable for hundreds of playtime moments to come. This entry was posted in Entertainment, Raising Tweens, Videos and tagged American Girl, entertainment, gifts for tweens, giveaway, Parenting, Tweens. Bookmark the permalink. I”m teaching my daughter to knit and crochet she needs total concentration to learn so all electronics are off. That’s AWESOME! I crocheted a scarves for everyone one year. It’s a great skill to learn. Taking the time to get crafty with the kids is so important especially when they are learning life skills. 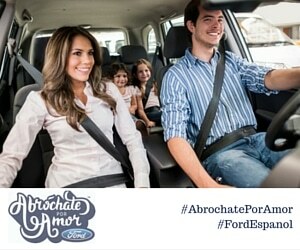 HUGE BONUS that it gives you time to chat! Hopefully that carries over into the teen years. Crafts are always good, but little girls love to play dress up, and have tea partys! 🙂 good times. Definitely! Ours tweens are 10 now so their version of dress up is a little different than before – “Rock Stars” instead of Princesses – but they still enjoy it! That’s great! We love the Kaya doll too! Mu daughter would love to add KAYA to her collection! This doll is so beautiful. My daughter spotted this first in the catalog and fell in love. It’s not very often we find toys with our heritage. It would be great to win this for her. We try to have “cuddle time ” all electronics are off . We lay in bed and talk. It’s our alone time. Just the girls! Awww! That’s so nice and so important. Model by playing with them. We build a lot of stuff like forts, collect stuff outdoors, and create with art. Sounds like you have a little engineer on your hands! We have a cooking time with mom a few times a week. It is so fun making new fun foods and desserts. That’s great! Check out our article about encouraging tweens to join you in the kitchen:https://lostweens.com/community/ideas/teaching-tweens-to-cook.html. Lots of great tips! I think reading encourages and builds imagination. I have my kids read a lot. We play a lot of make-up games and also invent stories to help her form characters, plots, settings, etc. Would love to win this doll. I have a couple familiy members that would love me forever if I won this. My daughter loves to pretend cook. I encourage her to collect leaves, acorns, flower petals to make “soup”. Sometimes we walk around the neighborhood to collect goodies, and cooking becomes a lot more fun. We love to play games, and we also have family book club for some unplugged quality time. Good point about the AG books being good for tweens! My daughter loves her AG doll and is always practicing new hair dos! As a teacher and parent raising my kids in a bilingual household, we always look for creative playbased activities to sneak in some Spanish. Last week my daughter put on a AG doll fashion show and had to give me all clothing descriptions en español. 🙂 Kaya would be a fabulous addition! We are happy to announce that the winner of the American Girl Giveaway was Shay Thatcher! Thank you to everyone who submitted post comments. Please keep checking back for more giveaways and great articles! fun for as little as forty dollars per couple. The Bull’s Head Pub, Bangkok.